This was a moment of unforgettable transformation, one that is forever engraved within my soul. It was the last day of the seminar, and, at a crucial point in the experience, each one of us, in a guided visualization, held with the warmth of our hands the area of ​​our solar plexus and heart, and followed the orientation to go meet our Inner Child. For the first time I encountered my inner child: I saw her around the age of a little less than 3, alone in a dark and chilly room. She was very, very sad, overtaken by deep grief and discouragement. She did not believe anyone would ever come to hold her with warmth and love. This is how we met, and hugged and wept together. Embraced by my affection, that pervasive “chill in the soul” gradually melted away. I rocked her gently and assured her her that, from now on, she would never be alone, nor sad and cold again, for I would always be attentive to her emotional needs, and would fulfill her with full acceptance, warmth and love. I did this while I held my own body with that full acceptance and warmth, cradling this adult woman who had always carried, in the depths of herself, the lack of loving warmth of her inner child. At the age of 40, having walked many paths in search of relief for the challenges in my emotional life, specially around relationships, I knew that it was now up to me, to release the expectation that this love would come from others. This was the last threshold, the last portal of radical surrender. I opened to the teachings I was receiving as an initiation. I accepted that this was my story, that I had gone through all this as part of my soul purpose; that taking on the healing of my feelings of abandonment, lack of warmth, lack of love, was now my full responsibility. All my life I had hoped that this “hole”, that caused so much anxiety, this craving to receive love, would be fulfilled by someone else. But the stories continued to come, in a regular succession one after another, with something in common: my expectations were always frustrated, because what I drew was abandonment and / or mismatch. And I would feel that terrible pain again and again. This happened in June 1991, the day before I went to the II International Flower Essence Conference in Canada, that redirected my life towards a very different and fulfilling path. For some time I had been studying and using flower essences for myself (and others), and I had the understanding, through the language of Flower Archetypes, of what would be the alchemical healing for my feelings. I knew that at the bottom of everything, there was a core of this feeling of lack of love, of needs not perceived, of not being able to count that I would receive loving warmth. The Mariposa Lily flower essence offered me the clarity on the exact transformative qualities that would heal this core of emotional neglect and lack of warmth. Mariposa Lily Calochortus leichtlinii, as a flower essence prepared by FES, infuses the soul with maternal warmth and nurturing, supporting the deep process of healing the pain of lack of love and healthy bonding in early life. At that crucial moment, my understanding of this essence Archetype and the emotional alchemical cure that this flower offered, allowed me to know exactly what to do to propel this transformation. It was time to release expectations and give myself this love that I had always craved for. I held my child and saw myself filling in all the cold spaces in her heart and body, with this melting warmth of love. This child that had never been cuddled enough, was finally infused in warmth. I gave her what I had already given to my own small children, at a crucial stage that had already started me on this path of healing. I had been a wanted child, born from a long and painful labor that was almost completed by forceps. At the last moment, under partial anesthesia, my mother let me out already purple. I was taken from her for hours, as was the custom at that time. And she, traumatized and suffering the aftereffects of the anesthetics, was certainly not present nor available for that warmth and comforting initial bonding with her first and newborn daughter. Once at home, things went from bad to worse: I cried a lot and, the rule at the time was to hold the baby only at feeding times, and then let them cry in the crib, so they would learn. 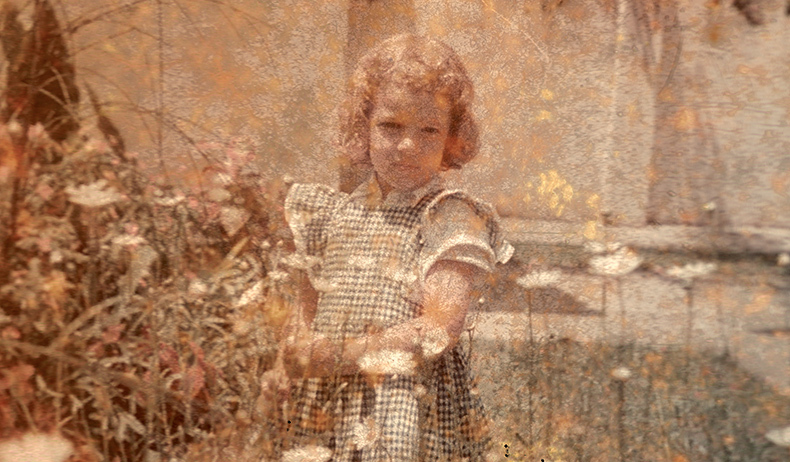 The belief at the time was that holding the child created bad habits, and my mother was trying to do the right thing. 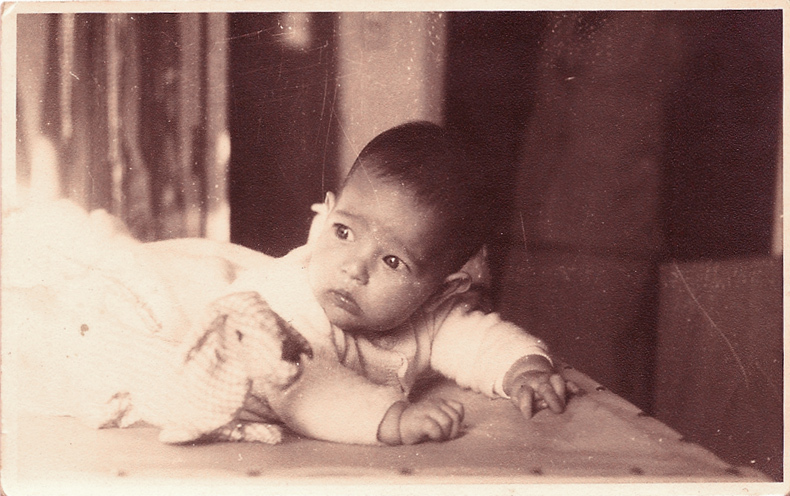 The situation probably left my mother increasingly anxious, and even more incapable of comforting an already traumatized baby. I now understand that she also lacked empathy, and was incapable of perceiving the emotional needs of a baby. I was left crying alone in a closed room for hours on end, for many years. My parent’s attempts to do the right thing, by following the guidelines of the pediatricians of the time, established in my body-mind-emotional self an intense and deep feeling of abandonment and lack of love. This was the first foundational step of the Alchemical Journey I had began, and as it unfolded, I completely recreated my internal emotional matrix (more to come in following posts). 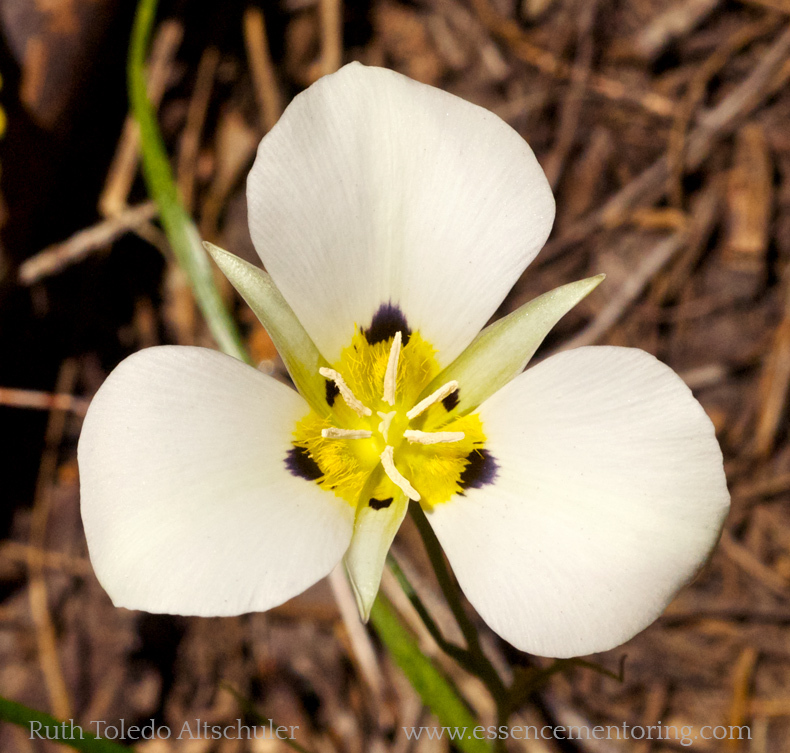 Were it not for the Mariposa Lily and for the paths of inner healing and creative visualization, I would be suffering from this deep abandonment in the core of my being to this day. By entering this journey, and taking responsibility for loving my child and offering her everything she needs, with the help of flower essences and deep inner alchemy, I have been able to begin the recreation of the foundations of my emotional life towards love and fulfillment. I offer my own story and original images as an Archetypal journey, in the hope that the countless individuals all over the planet who feel even more acutely this lack of warmth at the core of their being, can eventually find access to the Archetypal force of this healing energy that many of us are gradually emanating, as a result of our own journey catalyzed by this healing Archetype. Beautiful! 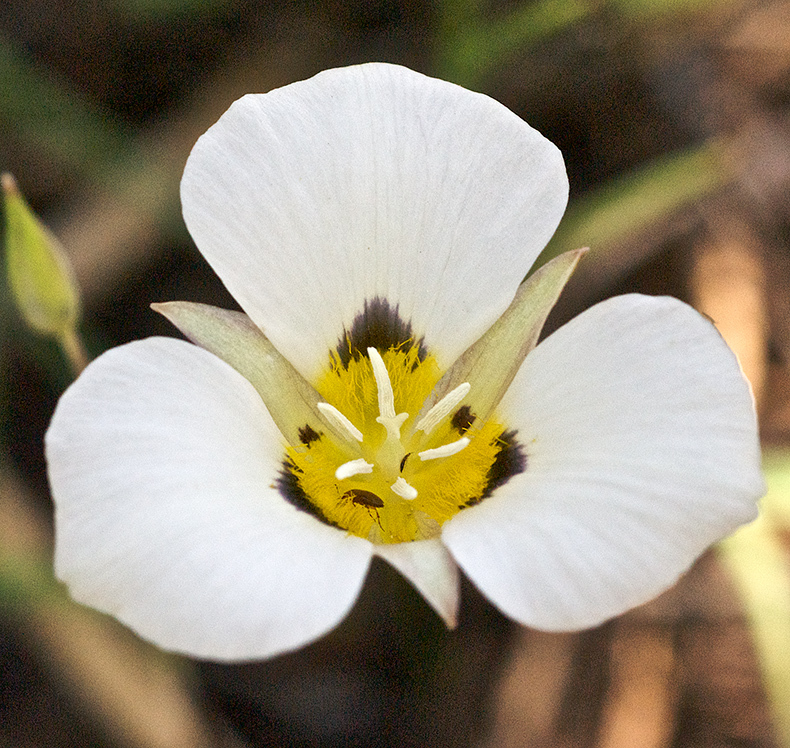 Even the name Mariposa Lily is comforting. Its so good to remember the many healing, nourishing qualities of the plant kingdom. Thank you for your the beauty, information and remembrance. You are so very welcome, Rose! I VERY MUCH appreciate your comment and look forward to knowing more about your beautiful work and offerings to the world! Yesterday I went to a natural grocers and was looking at the bach flower essences. I grabbed one off the shelf, paid for it and went home. Later, I retrieved it from my purse and it was not the one I had grabbed… Or intended to grab. 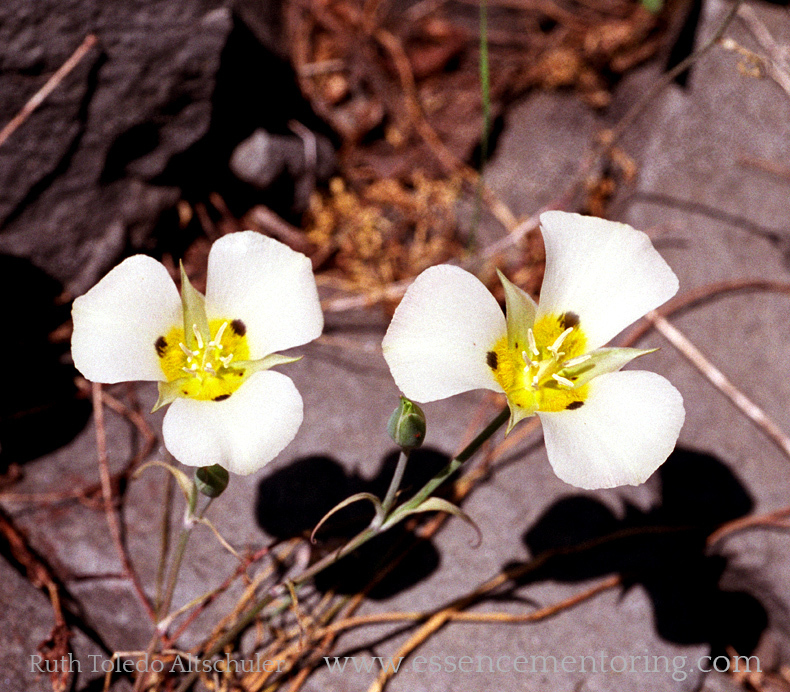 I didn’t know anything about mariposa lily. Now after reading this, I believe it was a gift. I was meant to have this particular bottle. I have been doing some inner child work lately but could only make partial connections. I think this remedy is going to help.